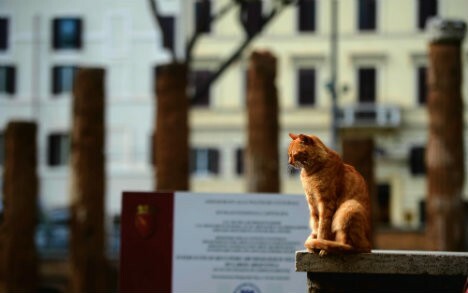 Islands of Cats: Are 500,000 cats the solution to Rome’s rat crisis? A Rome mayoral candidate has promised to solve the city's well-documented rat problem by deploying 500,000 cats to catch the rodents. The Local.it 13 April 2016: The unique approach to pest control was announced on Tuesday in a note published by the mayoral hopeful, Antonio Razzi, who also sits in the Italian Senate for Silvio Berlusconi's Forza Italia Party, Adnkronos reported. "One of the key points of my plan is to free the city from its rat invasion, but time is running out," wrote Razzi. "Everyday there are more and more." If elected, Razzi would like to import 500,000 cats from Asia and charge them with rat-catching duty. "I have already made plans to bring over the cats, which will be deployed at strategic points throughout the city," Razzi continued. 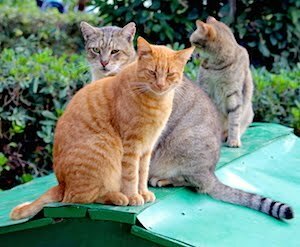 But Razzi is not advocating unleashing huge gangs of feral cats in the city; in fact, he has an innovative and...read on.